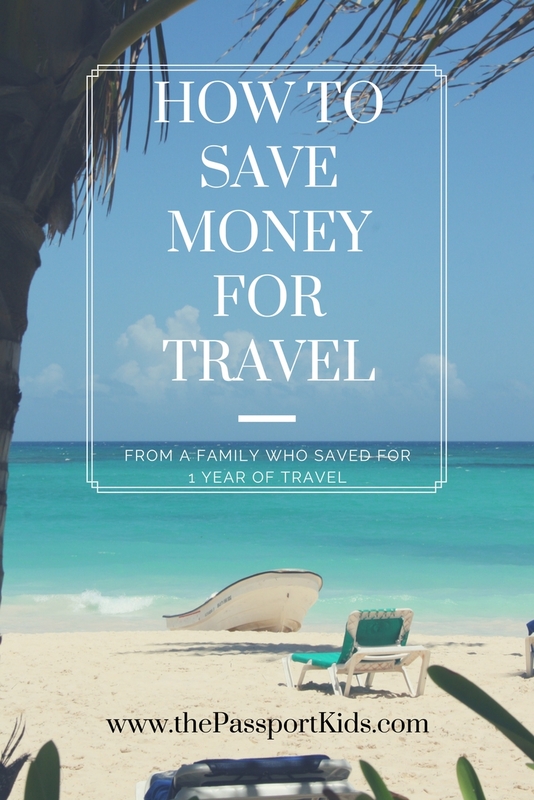 How to save for travel from a family that saved enough to travel for 1 year! One common question we get asked is, “How can you afford to travel for a year?” My simple answer is that we saved, saved and saved some more in order for us to save enough money to take time away from our jobs and travel with our two kids for a year. The next 7 steps will explain how we did it! Make travel a priority with your money. It’s that simple! With all the things we did below to save for travel, we made it a priority with our money. You have a choice and a decision every time you spend your money. The most important part of saving for travel is to get your mindset right. Visualize and commit to truly knowing that you want to make this happen. Deep down in your gut, if you don’t want to travel then stop now and save yourself the time. Your perseverance, commitment, and mindset will get you traveling. If you really want to take a trip it is up to you to make it happen. Making your dreams a reality is about finding ways to make things happen, but you always need money! It seemed like such an unattainable goal to save enough money that we could stop working for 1 year and travel around the world with our kids. The idea is to live on the same amount of money traveling the globe as we do at home. We budgeted a monthly amount equal to what our living expenses are for Regina, Saskatchewan, Canada. Our goal was set, so now it was time to reach the goal! What we have saved is what we have committed to our travels, when the money runs out then we come home! The better that we can stretch our money the longer we can keep traveling. We will splurge on some things and budget on others. You control what you spend your money on, so reviewing your spending will give you a good understanding of your priorities. What you spend the most of your money on is what you value the most. Write out what you spend your money on. Outline the “needs” cost like mortgage/rent, utilities (water, energy, etc. ), insurance, grocery, etc. Outline the “wants” cost like entertainment, tv, the internet, clothing, gym membership, kids activities, vehicle etc. Monitor your spending. You can either be very detailed or summarize. I like to review my bank and credit card statements every other week for a good indicator of what we spend our money on. Are there things on your spending list that you can do without or reduce? Look for things on your spending list that does not provide you value (either emotionally or physically) then consider striking it off your list. If having your kids in activities, taking a yoga class or your morning specialty coffee provides you or your kids’ value that you prioritize then don’t cut those. Stopped going into stores unless we needed something specific. Reduced clothing cost. Started only buying what we needed, which was very little when the kids outgrew items. Mended clothing to last longer. Started making a meal plan for the family. Going to the grocery store and only buying what is on our list. *One of our biggest savings! Closer attention to which food products were on sale. Went down to basic tv channels. Packed more brown bagged lunches. Had my first cup of coffee from home. The more money you have coming in, the more you can put away. Look for more hours at your job, take on other work or side jobs. If you have the opportunity this is one way to increase your money coming in. Although we discussed the option of more work, with kids and high-stress demanding jobs, working more was not on our list of finding more balance. Ironically I went down to 80% at my job this year and Jamie has no spare cycles as a small business owner which keeps him busy. So we opted to increase the money coming in by SELLING many of our things. Stuff that was weighing us down and things we no longer wanted. This was partial to get rid of stuff that we didn’t want to store while we traveled. But, it ended up being a very freeing exercise to live with less. If you are looking for guidance on the why to sell your stuff, check out the Minimalist website and podcast for help. It’s been a game-changer for how we view things in our lives. We sold a lot of stuff from small things to big things, but they all added up to almost $30,000. Tons of small things from $2 – $40 on Varagesale (online local garage sale app). All these small things added up to $3,000! The great thing is that we are not done yet! We still have all of our house furniture and my car to sell too, but we will be putting this money aside for our “re-setup” upon our return to Canada. Savings Account – I set up bi-weekly automatic transfers to a travel savings account on payday to enable us to reach our savings goal. Money was already in our travel savings account so we got used to managing our expenses within the amount in our checking account. We can’t access our travel account with any card so it limited the temptation to spend. Based on what our goal was, we decided to live on one income and save the other in order to reach our goal. Credit Cards – We use our credit cards for almost every purchase, this helps for tracking but mostly it for the points hacking (post coming soon on travel credit cards)! We use our credit cards to accumulate travel credit points, use for flights, hotel, car rental, etc. If you are able to control your spending and use credit card points to your advantage then this is a great way to save up points for your travels. Use with caution – I would not advise this route for anyone that cannot pay off their credit card balances every month, otherwise it defeats the purpose. If you have kids, get them involved with the savings activity. They need to learn how hard and what choices are being made in order to take this trip. This saving activity over the past year also helped develop some fundamental values that were great for our kids to learn too. Our kids each had to make choices about what toys and clothes they were going to either keep, give, donate or sell. If they choose to sell an item; they got the money and put it in the piggy banks to buy whatever they want when we get back home. Sofia checks the mailbox to see if anyone paid and picked up their item. 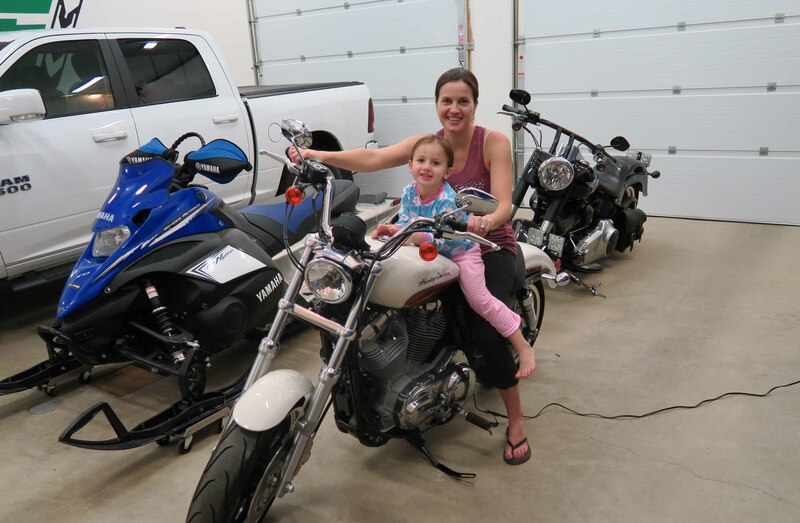 I could have easily gone by myself to the bank with our deposits from the sale of items, but instead, I choose to take my kids with me to show them how we are saving money… and how much it adds up. Every time they would dump the change into the sorting machine and bring the ticket up to the bank teller to make our deposit. Counting out the bills and asking the teller to put it into our “travel” account always struck up a conversation. My kids talked to the bank tellers and would tell them about what most they were looking forward to. Kids take pride in their involvement. My kids thought it was pretty cool that strangers thought they were very lucky and what a great job saving they had been doing. We go often, so now they are getting to know us in the bank branch as the family who is traveling the world! We are a team and it’s important our kids learn it isn’t easy to save. It’s not impossible to save for a trip of this magnitude, but it takes commitment, time and making smart choices. As they have been helping along with our savings, I feel they will appreciate the rewards of traveling more. Money doesn’t grow on trees and it’s not cheap to travel for a year. Do you have any other tips or suggestions on how you save for travel? Great tips! Travel is an experience that gives you life long memories.